The single purpose of the present moment. The Diamond is the upper half of the East Face of Long’s Peak in Rocky Mountain National Park. It gets its name from its shape, but the name also fits it from a climbing perspective. The vertical to overhanging plate of granite is striped with cracks from the width of a fingertip to the width of a basketball. 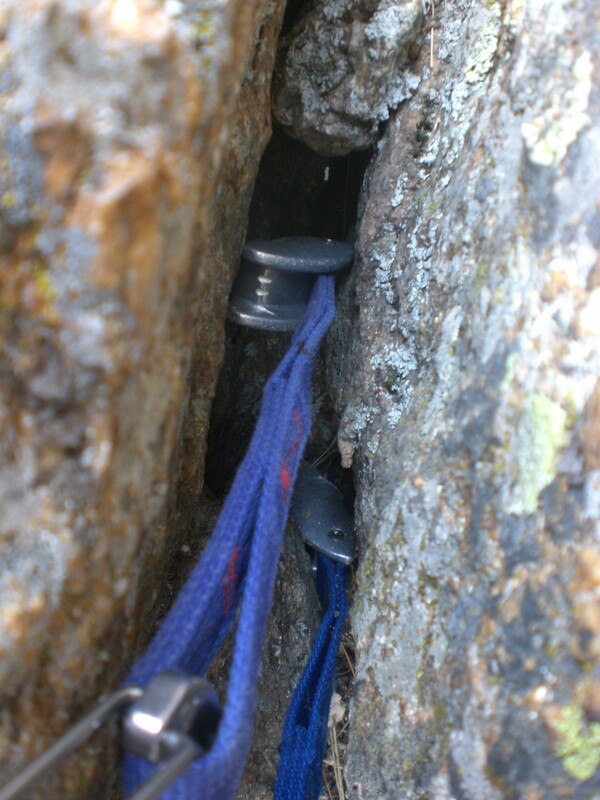 It is a jewel, and irresistible even for sport climbers from Chicago like me and Jim were. In our defense, we were not sport climbers by choice. Living in Chicago severely limits a person’s options. Despite our circumstances at the time, both myself and Jim, had extensive experience in the mountains, including long routes in the Tetons. Our experience meant that we were not complete fools to think we could climb the Diamond in the first place, but it also meant that we should have picked up on a few clues that things might be off track before the incident. The line of evidence goes all the way back to the contemplation phase. 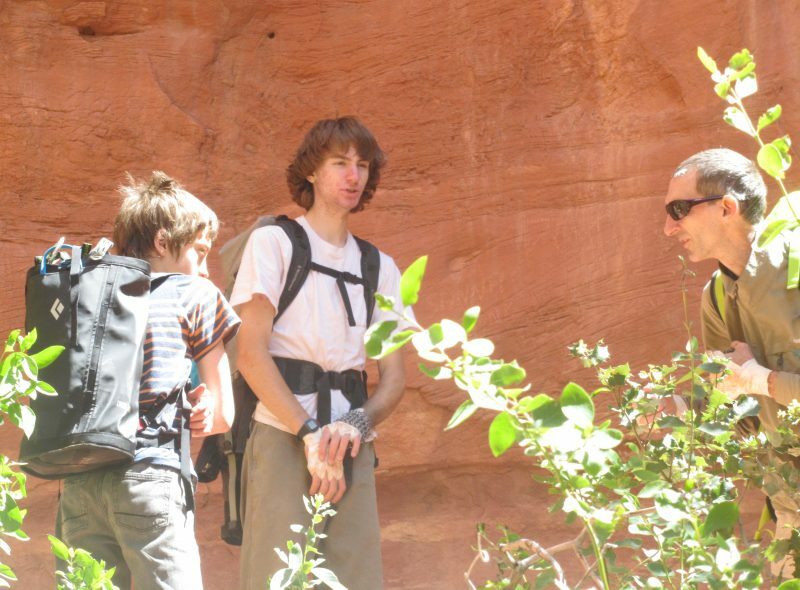 When I was thinking about a big trip in those days, I always tried to run the idea by my friend Tim. He was a veteran of Ama Dablam and the Cassin Ridge on Denali as well as a living, intact paraglider pilot, so I figured he must know something about risk assessment. He was also a model pagan skeptic of Swedish heritage, born and bred in a factory town in upstate New York. He soft-pedaled nothing. He shook his head. When I corrected his assumption that we intended to climb the Casual Route (the easiest and so most popular route on the Diamond) he dialed back the distaste a single click. I ruminated on his comments just exactly up to the moment I looked at the picture of the Diamond in the guidebook again. Then I forgot about them until the trip back from Colorado. The scene at the registration office should have refreshed my memory sooner. It was climber Babel. There were kids and old people, dirtbags in flannel shirts with frayed ropes slung over tattered backpacks and teams of smartly dressed outdoorsmen lugging huge, spotless haul-bags. We got one of the last remaining permits to sleep in the boulderfield below Mills glacier at the base of the East face. When we arrived at the bivouac site, the sun was setting and the slopes, speckled with headlamps, looked like a reflection of the Denver suburbs far below. The North Chimney was not the best approach to the Diamond, but it was expeditious and that was important in a race. As the first light of morning touched Long’s summit, the dash for positions on the ledge atop the lower East face was already well underway. Several of the wiser teams crept up the snow slope at the far edge of the glacier. Others descended ropes from the plateau on the other end of the precipice. One group had chosen to climb the shield of rock in the middle of the lower face, and daylight found them hauling a fully assembled portaledge up their route, the frame of the collapsible sleeping platform bumping along like a kite stuttering across the ground in a high wind. One group was ahead of us on their way to the chimney. Another trailed us by just a few minutes. 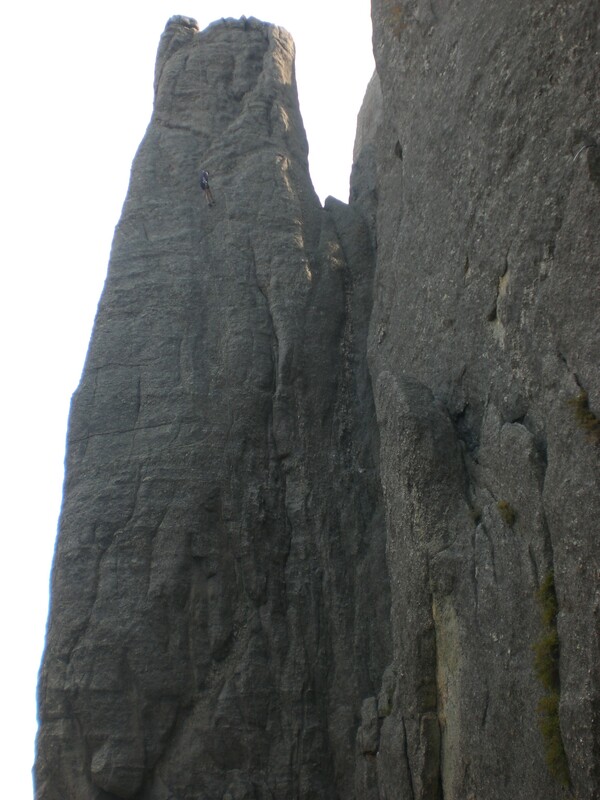 The North Chimney was not the best approach to the Diamond because it was not a climb and it was not a walk, it was a scramble – easy hand-and-foot climbing. As such it was easy for a climber to ascend without a rope – a little less so lugging a heavy pack and even less again wearing hiking boots. In other words, it was fast, loose and dangerous. On hearing that warning cry, a climber has two choices: look up in hopes of dodging the missile or hug the rock and rely on the strength of one’s helmet. I was in poor position to dodge, supported as I was by hands and feet on a steep bit of the scramble, but the ominous sound of what was coming convinced me that the helmet might not suffice. I did manage to head-shuck the first , cantalope-sized chunk, and ducked the next, slightly larger stone as it bounced over me. The third one wasn’t bouncing; it was too big. It grated along in light contact with the face, striking sparks. I leaned back to get out from under it. As the block cleaned me off my stance I slipped into a certain clichéd state which I’ve only rarely experienced. Time slowed down. I felt myself tipping back, the heavy pack dragging my shoulders down faster than my hips. I felt my partner’s hand on the bottom of the pack and though it was physically impossible ( my helmet had been pushed down over my eyes and the broken edge forced through the end of my nose by the impact) I saw him trying to keep me from flipping over. I couldn’t right myself. I didn’t have enough leverage against his outstretched arm. However, the force was just enough to let me twist and face out from the wall, reversing the pull of the pack. My new position felt better, but looked worse. From beneath the broken rim of my helmet, I saw the long sweep of glacier below, lying at the angle of a ski run and now strewn with debris. At the top of the slide was a black moat between the rock face and the ice. A narrow ledge projected into the shadow a few feet below the lip of the ice. I aimed my heels at the ledge and put my forearms out in front or me. The impact must have hurt, but I have no recollection of it. I might as well have settled like a feather balanced on the edge of the ice. Immediately, I was fumbling around in real-time again, trying to pull the pack over my neck as the tail end of the rockfall pummelled my back and legs. I’ve often wondered what was going on in those first moments. How could I have a memory of seeing my friend spotting me when I couldn’t possibly have seen him? How could I make decisions in the span of time I had to react? I think the Hagakure may hold the answer. Quite an odd notion on the face of it. The idea is sound, though. Newborns show a visual preference for faces at nine minutes of age, and this too is an odd notion. We have inborn comparators against which our identity is a reference point and we refine and build on those comparators as we grow. That constant process comparing current state versus prior state versus anticipated state is the root of consciousness itself. Pre-reflective consciousness, our direct, subjective experience, is not pure perception. It is beautifully impure. The mind maps the present onto the past and future by the moment. It is only in moments of utmost need that we lay down enough memory to see the process at work. So the mind, if it has the right set of references at the fore, might seem to carry out one more anticipatory action, in death or in life, such as putting out a hand as if to spot a partner’s fall. Sadly, we cannot escape reflection and live the dream the author sketches in this passage. We have to face the horror of war that comes with the joy of battle. However, we can hope to keep the two straight, the reflective and the pre-reflective, and that is what understanding is good for – holding onto memories without bending them into trinkets or icons. That’s what I walked away with from the base of Long’s Peak, having been smashed in the face by a large rock. That, and the knowledge that the Diamond is indeed a god damned zoo at the end of August. And the realization that I should pay more attention to Tim’s opinions. And four tiny, blue, Kevlar threads lodged in the end of my nose. Summer is shrinking away to the equator. The rock doesn’t warm over the day and the Needles’ shadows at noon grow longer and longer. We have a couple of weeks of denial left at best. On the good days we took for granted less than a month ago, we can climb on the faces last season’s heat denied us. Driving past the entrance to Custer State Park this week, the fee station was closed and its windows boarded up. Soon the custodians will gate the road and abandon the park until Spring. We stopped at Sylvan Lake and wandered around looking for routes in the sun and out of the wind. Only two routes held no shade. The first was an easy face climb. The second was an arching crack protected in the upper half by three pitons, each thinner, more rusty, and more unfavorably oriented than the last. 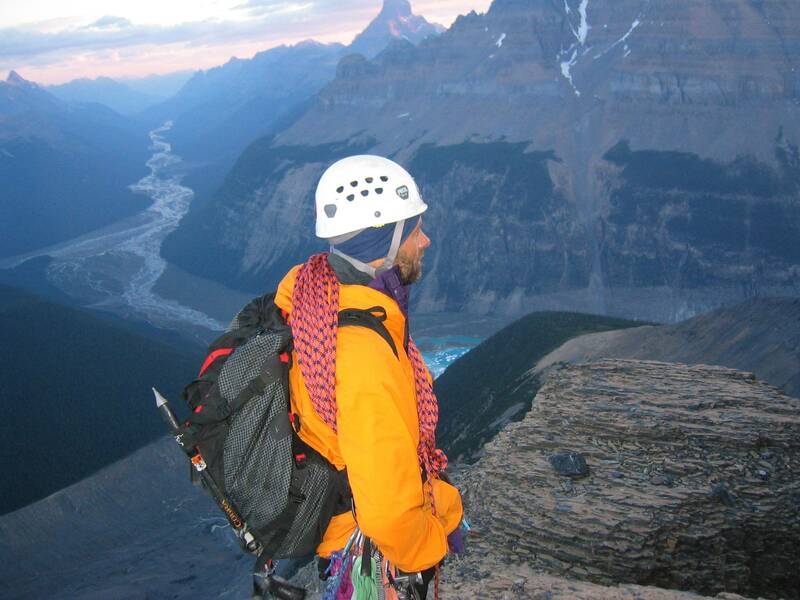 The route proved that the smallest summits can be more daunting than the tallest. As a climber passes a point of protection, if he falls, he will fall twice the distance he climbs above that point. The closer to the ground, the quicker that distance becomes equal to the distance to the ground and the sooner one is utterly dependent on a single, rusty metal blade in case of a slip. ‘The leader must not fall’ is how a now defunct generation of climbers summed it up. On the arching crack, we backed the pitons up with modern, removable equipment, and nobody fell. We walked by a further reminder of previous generations on the way out – a memorial plaque for Renn Fenton, one of the Black Hills’ climbing pioneers. Whenever we pass the small memorial, with its birth and death dates, Rich comments on the unlikely gap between the numbers. In those days, climbing was part of a counter-culture more concerned with hard-drinking and pursuing inspiration than building a retirement account. Somehow, the early climbers survived, and with some amazing accomplishments to their names. Jan and Herb Conn represented that era as well as anyone. The couple, who made so many of the Needles’ first ascents in tight, dime-store tennis shoes, with a braided rope around their waists and a handful of pitons clipped to their belt-loops, may not have drunk as hard as some, but they made up for it with the finest inspirations. A week prior to standing before Renn Fenton’s memorial, we had visited the Conns’ masterpiece, East Gruesome. 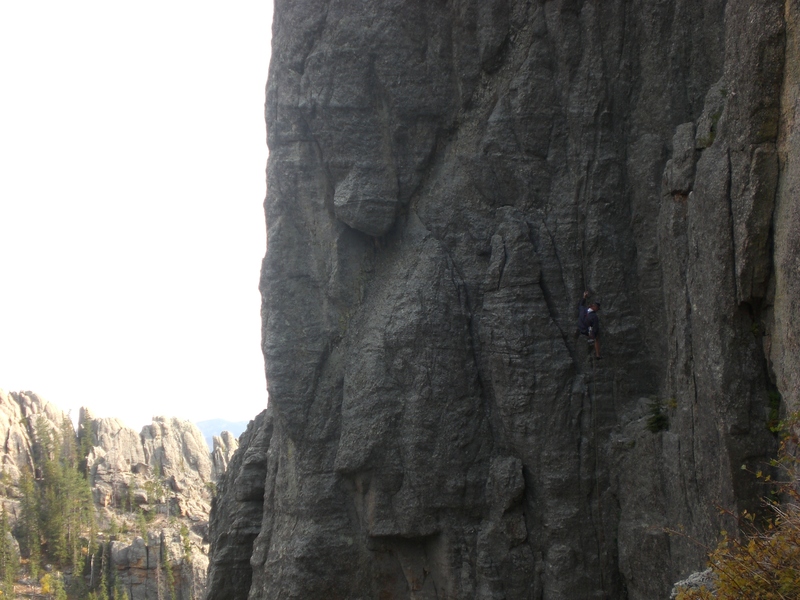 A week later, we left Sylvan Lake after climbing the crack across from the memorial; it was just too cold and windy. 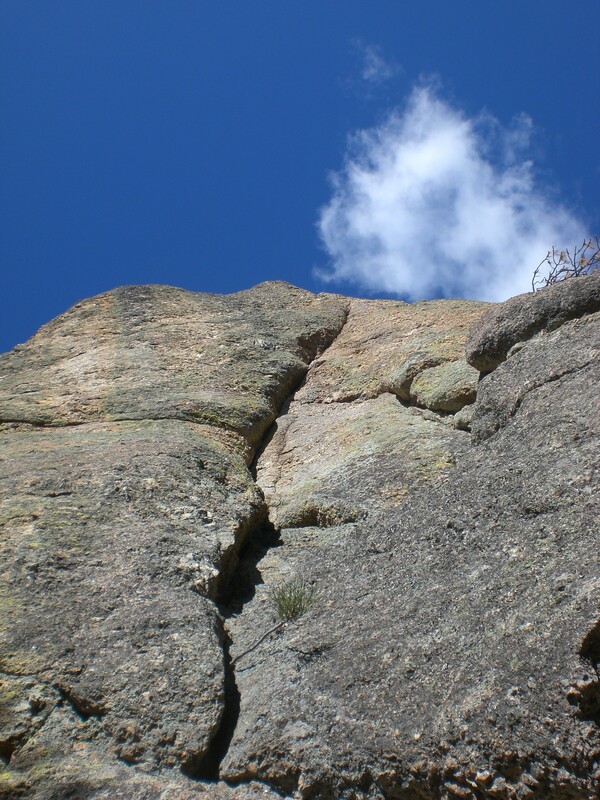 We drove over to the Ten Pins and climbed Energy Crisis, another thin, arching crack. I fell at the crux. My foot came off a crystal as I tried to pull up on a triangular hold I had pinched between my thumb, index and middle fingers. A small metal chock caught me after just a couple of feet, and after a rest, I was able to climb it top to bottom with no falls. My best friend from Medical School firmly believes that I’m going to hell. He is a brilliant and thoroughly decent person, and though I have only maintained a tenuous contact with him over the years, if he needed a kidney from me, I wouldn’t hesitate. It doesn’t trouble me that he thinks I’m going to hell. It doesn’t bother me that he believes there is a race of invisible creatures living alongside and sometimes interacting with us (the djinn). I do not think less of him for believing these things. I understand how and why he believes as he does, because I was raised a Southern Baptist, and I held many similar beliefs. I began to abandon those beliefs when I was 14 years old. It started with hell, and led on, via a process of inverse apologetics, to where I am now – accepting of those beliefs in others, though I no longer subscribe to them myself. I don’t know what got me started thinking critically about the concept of hell. Maybe it was too much Hesse, too early. My first concerns did arise at about the same time I was reading Steppenwolf. Anyway, I one day realized that I could not personally condemn another creature to eternal suffering. Kill, torture for a bit maybe, if the transgressor had done something odious enough, but not watch another suffer interminably. If petty, finite me couldn’t do this, I didn’t see how a wiser, smarter, personality could. Nor could I see how god, if he had the power to prevent it, could allow another to suffer eternally based on a mistake. Perhaps he didn’t have the power. If so, he was simply a grander creature beholden to a natural law beyond our ken; different from us in magnitude, but not in principle. If he chose to allow eternal suffering, it must be in pursuit of justice for crimes against the eternal which our finite minds were not equipped to appreciate. I could not see how this last explanation was possible assuming his motive was justice through retribution. As finite creatures, we would never be able to appreciate eternal punishment either. If we did not go mad, we would always have some uncertain expectations of the future, some hope, even if it was only the hope to endure the next moment. Of course he could change us upon death to make us understand, but then he wouldn’t be punishing the same people. God as a personality was an inconsistent bully. If the whole scheme were to hold up, I had to conclude that god was ineffable. All his thoughts and actions were beyond human understanding. Then, however, all scripture was erroneous, assuming it was given from god. He could not use words, symbolizing human experience, to convey an understanding of his intent. Knowledge of god was not truly possible. The whole scheme, with god as our template personality and hell and sin in the bargain, couldn’t hold up. If there was a god he was impersonal and we couldn’t be sure what he was about. From the human perspective, he was either a force like the weather and other natural phenomena, or a warm refuge after the grave. The warm refuge theory seemed attractive. It let god’s actions occur in the past and so covered up with changing circumstance the interaction problems with substance dualism. It also allowed him to be benevolence personified, so he could still be a guy, kind of, even if we only saw a slice of him, the way we might see a four-dimensional sphere. Thomas Aquinas disabused me of the warm refuge or “guy in the sky with a pie where you fly when you die” option. This substance dualist view was already on shaky ground for me. No one could say how it was that god acted in the world, at whatever point, without being part of it, without time or space or quantum fields or some other, as yet unknown material property inhering in god. A god-matter system seemed necessary and god was thus relegated to the role of super-weather. The only alternative which preserved god as a truly separate substance and allowed him to thus retain his guy-with-pie-ness was an extreme form of idealism. The substance dualist view held up if it technically relinquished its dualism. Then, we were all really brains in god’s vat and all our perceptions of material reality were an illusion. Of course, were that the situation, we could never know about the vat or what was outside the vat. Even if god chose to tell us directly about the vat, there would be no way for us to distinguish that information from the information of our programmed illusion, and the information would be of questionable relevance besides. Aquinas preserved some relevance and role for god by making him a sort of universal substrate. Tom may have been onto something, because some other guys had come up with the same idea independently. The idea of a universal substrate, a kind of meta-property, is the basis of Taoist philosophy. The Taoists thought about this kind of property dualism a bit harder than Saint Tom, though. The Taoists realized that a truly universal substrate cannot have a hierarchical relationship with its constituents, since the one-way dependency put the system at risk of an infinite regression. If the sub-units rest on the substrate’s carapace, then the carapace must extend in some way. Otherwise one must say that events at once do (in the determined sub-units and in the causal determination of the sub-units) and do not (in the immutable substrate) occur in the context of the whole. Another contextual carapace is implied and bingo, it’s turtles all the way down. In the Taoist version of the idea, the property and the objects which exemplify it mutually determine each other (the whole can be viewed as an event), and mutual determination is the closest one can ever get to describing such a property. This is weird and seems to escape the regression problem on a technicality, which led many of the Taoist’s contemporaries to question the utility of this explanation of the world. It seemed to imply a lack of meaning in its rejection of conventional causal relationships. The Taoist response was that their description of the world questioned the validity of overall meaning or the lack thereof. They considered talk of purpose an error. “What is the meaning of life?”, is simply a wrong question, and moral discourse, a circular futility. This is the more likely destination for a property dualist description of the world. It shares common qualities with the endpoints of other approaches. The more consistent the picture, the less momentous the implications and the weirder the image. Tom turned off before he got to the end. To be fair, the same road was never open to Aquinas in the first place. The Taoists were engaged in purely philosophical inquiry. They wanted to puzzle out a consistent description of the world to the extent that such a thing was verifiable. Aquinas was engaged in philosophical inquiry and apologetics at the same time, the latter being the rationalization of a given description. Being an apologist for the Middle-Eastern monotheistic religions ultimately demands rationalization of guy in the sky, substance dualism.This given endpoint for all reasoning leads to a creeping realism when it comes to concepts. An innocuous example of a concept is in order before observing the creep. Consider “blueness”, the belief about certain objects: that they are blue. A host of constituent factors determine how we experience blueness, from the make-up of the spectrum, to our genetic heritage, to the color’s cultural and personal associations. These things that make up our experience of blue may be the whole story. In that case blue is just a good description of that whole bundle of stuff; there is nothing inevitable about blueness. Or blue could be made of the things it’s made of because some properties inherent in the constituents of blueness cause them to fall together that way. Here, blue may not be inevitable, but it is an arrangement the universe likes, so it may make sense to speak of it as a proper thing, even though it doesn’t really do anything. Finally, blueness could be a property inherent in the underlying condition of everything, which causes the constituents, in conjunction with their own properties or not, to fall into line. In that case, blueness is inevitable. For someone bent on establishing substance dualism, this last bit is irresistible. Logic, reduction and a little bit of acceptable evidence from experience can get a person there. With one more little step – moving all properties out of the constituents – the path can lead back to substance dualism. However, the situation is now no different from strict idealism once again, where we are brains in god’s vat, living out his virtual reality experiment. Analysis, in this scenario, yields no information. Parts of concepts may seem to cause things to happen to other parts, but the truth is that the parts must behave as the law of the concept dictates, all else is mere appearance. “Things are as they are” is all we can rightly say. The various forms of the question “Why is there Something rather than Nothing?” help illustrate this sort of thinking. Nothing, taken as a real thing, is an error of language, an equivocation of the customary meaning with a concept that is inexplicable and has no explanatory power. Nothing customarily means zero or the null set. With that meaning in place, the correct phrasing would be, “Why are things the way they are and not some other way?”, or more succinctly, “Is all this in any way necessary?”. The question in this form is probably not answerable, but worth considering, since it offers two potential viewpoints without compelling reasons to prefer one over the other and with slightly different implications depending on the choice. In other words, the question demands some humility, which helps us avoid errors that stunt us. The questioners set on blazing a trail to substance dualism mean to persist in the error. They wish to discuss a real nothing. Not zero as defined by the absence of any number, or the null set, bounded by all other sets, but an absence of all including potentiality. Unfortunately for them, that would include the potential of absence. To get around the error, they claim that if some concepts may be a bit more than just descriptive, then we may allow that we think about things that we can’t fully explain, and so why can’t we just as reasonably talk about something we have no explanation for at all. Of course, this maneuver is why they wish to persist in the error in the first place. In a grand equivocation, they make room for all sorts of claims, from a working understanding of the nature of singularities (to paraphrase a couple of renowned physicists – saying that you understand singularities is the best indication that you do not understand singularities) to the guy with the pie. The larger error in insisting on speaking of a real nothing is that all the other things – qualities, beliefs, properties – which lead to the proper version of the question, “Why is there something rather than nothing?”, at least have some explanatory power, if only as effective labels. All sorts of concepts are possible without that minimum requirement, but taken as real, they amount to the assertion, “Things are as they are”, stated in a more sophisticated way. Maybe that is true; it certainly looks like an endpoint description. If it is, then there is no room for further statements – not descriptive and certainly not prescriptive. My friend chooses to stick with the simple statement, “Things are as they are”, in regards to cosmology and takes the consistent approach to it. He eschews apologetics. Things like god and god’s reasons for sending me to hell are not comprehensible to my friend or anyone, and that’s the end of my friend’s business with those given facts. He feels that the assertion is true and knows he must live with the fact that it can never be verified, especially if it really is true. For the available knowledge, he answers the question “Is all this in any way necessary?” with an affirmation. I’m prone to say, “probably not”, based merely on parsimony. 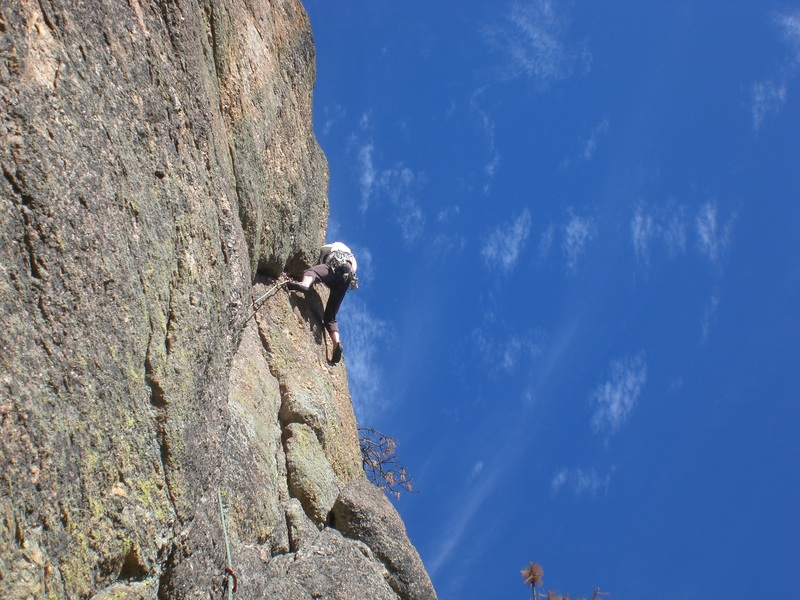 Though the source differs, we share an underlying appreciation of our limited understanding and live by Edward Whymper’s admonition to climbers, “Do nothing in haste, look to each step, and from the beginning think of what may be the end.”. Hopefully, we thereby keep from falling into error and suffering its limitations. This is what philosophy, as opposed to apologetics, is good for, no matter your conclusions.